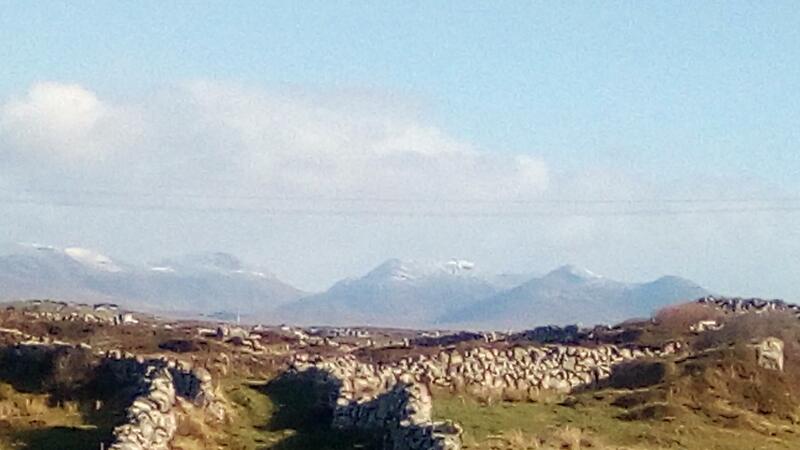 Look at the snow on the mountains! Last week, before Samhain, there was a hint of what might be to come, in terms of winter weather, so I am busy preparing cold and cough remedies from the herbs I have harvested this year. Coltsfoot leaf is one I always make sure to have enough of because it is one of the best respiratory herbs there is. 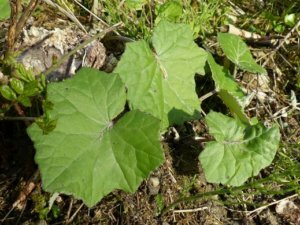 He, Coltsfoot, is a vital part of the herbal formula I make for my husband to relieve his asthma as Coltsfoot reduces spasm, soothes mucous membranes and is an excellent expectorant. I refer to herbs as he or she, depending on whether their energy seems to be feminine or masculine to me. They are after all, sentient beings, wise beings and I feel dis-respectful referring to them as “it”. As Robin Wall Kimmerer argues, if we objectify a plant as an “it”, then that plant (or tree or animal) can be easily disposed of, destroyed or harmed. If we see all living things as beings, as he or she, then we are less likely to abuse them. Plants can be he or she, they don’t necessarily have a fixed gender. For me Coltsfoot is male. Elder on the other hand is female – for me. 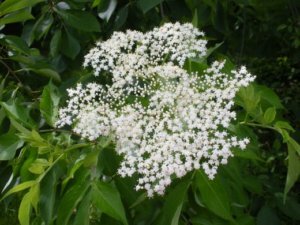 She provides us with flowers for upper respiratory problems – colds in the head for example – and berries for the lower respiratory problems in the lungs. I have made Elder Flower tea and Elder Berry tincture to restore health if we should be afflicted with any winter sniffles and coughs. 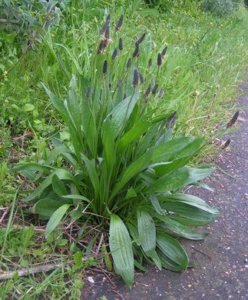 Plantain is another herb that grows wild here in Connemara and young plants are still popping up through the gravel. She is another expectorant herb, relieving the lungs of thick phlegm and soothing hard coughs. If you haven’t already prepared your winter apothecary and you don’t feel like going out foraging in the cold, wet weather, take a look along your kitchen shelves. Almost all of our culinary herbs have volatile oils which are anti-microbial, anti-viral and/or anti-biotic. 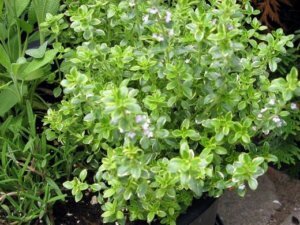 Thyme is my particular favourite and go-to herb at the first sneeze or even before. I find it suits me and mine more effectively than Echinacea. This is, I think, because it grows right here in my garden. As with food, the shorter distance from the ground to the table the better. I grow lots of Thyme and I also grow Rosemary and Sage. Sage is especially beneficial for sore throats. If you have these herbs in your kitchen and you feel that something is coming on you, brew up a cup of tea. I promise that there is nothing more soothing and nurturing than a cup of Thyme tea when you feel that you are coming down with something. If you visit my You Tube Channel, Danu’s Irish Herb Garden, you will see me making Garlic Oil and you will find out how that can be used to prevent colds and ‘flu. My next video will be another winter health remedy so please feel free to subscribe so that you don’t miss it. 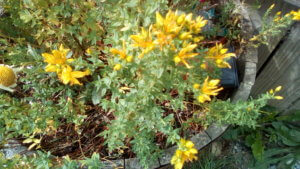 St. John’s Wort is another valuable herb to consider during the winter. Like the other herbs so far mentioned, he is anti-bacterial, anti-inflammatory and anti-viral. He can also relieve aches and pains and is a great ally for those who suffer from S.A.D (seasonal affective disorder) bringing light and hope during the dark days of winter. I make a tincture and an oil, which is great for a lovely massage after working out doors. I am hosting a workshop – Plant Wisdom for Winter Well-being – on 24 November. Have a look at the Workshops page for more details. If you have a favourite herbal remedy please let me know by using the comments box below. Blessings of good health to all! I think it is probably imperative at this time. Personally, I think calling plants he or she – whatever way they seem to you to be – really enhances your relationship with them. It’s a lovely thing to do.